My 9 year old daughter just called me outside to see her scale the 40 foot Maple tree in my backyard. Before you panic and call me a horrible negligent mother, let me tell you why I am so proud. My 9 year old (who has struggled since she was 6 with depression and bullying) is sporting an “ear to ear” grin. She has spent the last two days trying to get into every tree she can find. So what! Big deal. But for a child who is riddled with fear and doesn’t believe she has the same athletic ability as her peers, I am stunned. A few weeks ago I attended a coaches training with Al Joyner (Olympic Gold Medalist), Craig Poole (BYU head Track and Field coach for 30 years), Jeremy Fischer (coach of current 5 time world champion and Olympic gold medalist), and Art Venegas (UCLA head Track and Field coach for 28 years). All of the coaches are current US Olympic coaches doing amazing work. Can I tell you what an honor and privilege it was to be in the same room? I sat right on the front row just so I wouldn’t be distracted. Jeremy mentioned that he is seeing a growing epidemic. Many of the athletes he is working with missed opportunities in their youth to learn how to use their bodies. He said he is surprised and disheartened at how many kids have never climbed a tree, did a cartwheel, and the like. Too many of our kids spend far too much time watching TV, playing video games, or messing around on our devices, and it’s hurting our kids (not just their brain development and health level, but also their ability to move). I admit, until that moment, I was THAT mom who was scared to death to allow my children to do anything adventurous. What if they got hurt??? If I look back statiscally, so far we have only had 2 semi-major injuries in the last 10 years. Stitches from a nasty bike wreck, and a broken collar bone from falling of a chair at a store. And really, neither injury severely hurt my kids or has affected them long term. So the fear is really not even substantiated. Coach Venegas followed up Jeremy’s concern by stating that if we really want our children to be good athletes (really, if THEY want to be good athletes) it would be wise to start them in gymnastics when they are young. This teaches them how to move their bodies on all planes (side to side, front, back, upside down) and also teaches them strength and control. Michael Johnson, Olympic gold medalist and at one time deemed “Fastest Man in the World” believes this same philosophy. He talks in his book “Goldrush” how we should encourage our children to participate in several different sports and activities. Let them try them all out. Don’t get sport specific until they have really learned to use their bodies in all ways. My mentor, and coach of multiple state champion throwers, Gary Nielson taught me a valuable lesson. Often our track team was on the lookout for good athletes. Once in a while, a baseball or softball player would assume that since they could throw and were one of the top performers on the team that they were a good athlete. They would step out to the track to see if they could help the team any. Some of these athletes had great success. But often we noticed that they weren’t as athletic as everyone thought. Being a “good” athlete is more than being the best in your sport. A truly athletic person can throw AND run AND jump. They have learned (or were blessed with) coordination. They can move side to side without falling flat on their face. All four of these Olympic coaches noted a need for their athletes (remember, the ones training for the Olympics and winning World Championships) to participate in all different modes of training. Their athletes are often in the pool swimming or on a bike. Coach Venegas even stated that if you want to be a good shot putter, it would do you well to learn to negotiate the hurdles. Before you say “Huh?” Think about it. What does it take to make a good hurdler? Timing, coordination, flexibility, speed, focus. Tell me those things aren’t needed in the shot put. I don’t know if my 9 year old daughter will ever want to be a competitive athlete, but I love the fact that she is learning to appreciate what her body can do for her. And the smile and confidence she is gaining in herself and her own ability can’t be replaced. Which is why I am not freaking out that my 4 year old is now up in that tree with her! 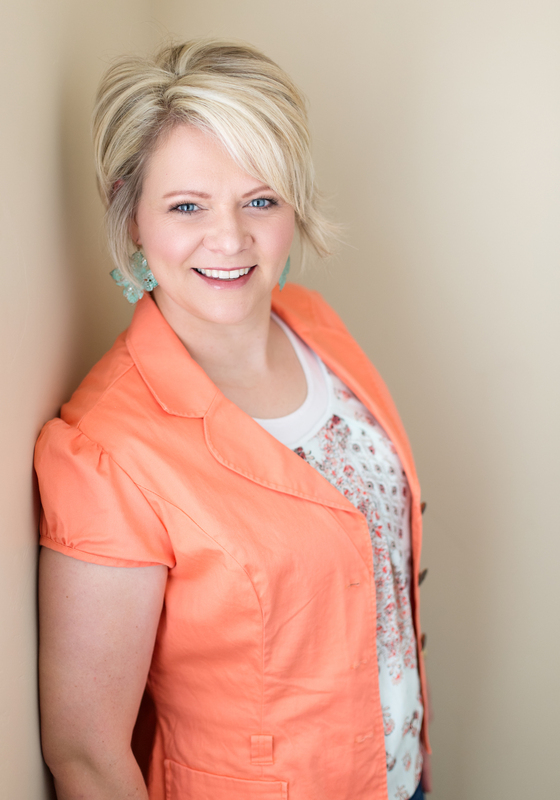 Shelly Coray is an inspiring speaker, trainer, coach, and mom. She has helped hundreds of youth and adults gain greater control over their thoughts and actions and achieve higher levels of success through her workshops, speeches and training programs. Find out more about her HERE.